More than a third of the 180,000 residents live below the poverty line, and Mexican drug cartels pose a regular challenge to the stability of the economy. Historically, living-wage jobs have been scarce and almost always out of reach for young people without postsecondary credentials. 1 In 2011 UTB and TSC began the process of separating. Texas Southmost will become a standalone community college. UTB will merge with the University of Texas-Pan American. 2 This figure does not include students who are entering the military or students with special needs who have satisfied graduation requirements and will continue receiving services from the Brownsville Independent School District (BISD). 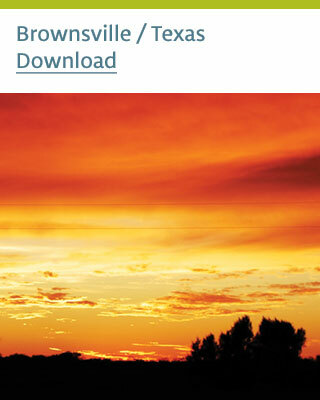 Brownsville is the southernmost city in Texas. 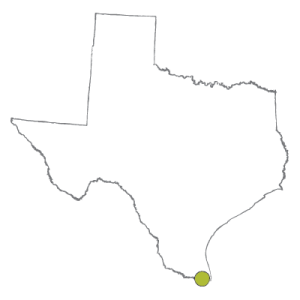 Its city limits are marked by a winding barrier wall, interrupted only by a guarded border crossing to Mexico and part of the University of Texas at Brownsville (UTB) campus. Breezes from the Gulf of Mexico blow through the small downtown most afternoons. More than a third of the 180,000 residents live below the poverty line, and Mexican drug cartels pose a regular challenge to the stability of the economy. Historically, living-wage jobs have been scarce and almost always out of reach for young people without postsecondary credentials. In 2008, less than half of Brownsville high school seniors applied to college. Those who attended UTB and Texas Southmost College (UTB-TSC)1 were part of freshman classes where only 45 percent of students were considered college-ready and 55 percent needed developmental (remedial) education. Local leaders reported that the students who succeeded in applying and attending were traditionally those with strong support systems from families familiar with the higher education system, while those without intensive individualized support outside of school remained disconnected from college pathways or career tracks. Over the last six years, however, the educational landscape has been changing in Brownsville. In 2012, the college readiness rate at UTB-TSC had increased almost 20 percent from 2008 and the developmental education rate had fallen by nearly the same percentage. By 2014, every one of Brownsville’s seniors from six high schools applied for college—a remarkable 100 percent application rate—and 94 percent2 completed an application for federal or state student aid, a critical step in accessing postsecondary education for a community consistently ranked as one of the poorest in America. Brownsville also was selected in August 2014 as a new site for a major aeronautical company called Space X, which designs, manufactures, and launches rockets and spacecraft. The company is expected to bring 500 or more jobs with a minimum annual salary of $55,000, and the partnership is already considering ways to best connect local young people with those careers—in particular through a strong aeronautics program at UTB. The story of those changes—and of the broader community conversation that prompted them and many others—is one of perseverance, flexibility, and ingenuity in a region of scarce resources. It’s also one of love, humor, and a dogged determination to collectively build up students and the community around them, referred to with deep care as la familia. Even in a time of slow economic recovery and big community changes—including local leadership transitions and the restructuring of the University of Texas at Brownsville and Texas Southmost College—this community has joined together in partnership to significantly improve outcomes for young people. 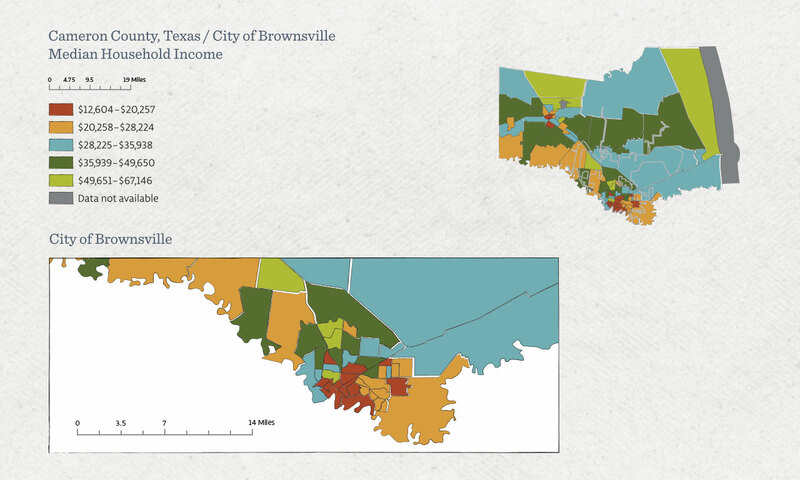 City of Brownsville, the Greater Brownsville Incentives Corporation (GBIC), the Brownsville Independent School District, the Brownsville Navigation District, the Brownsville Public Utilities Board, the Brownsville Community Improvement Corp (BCIC), and the University of Texas at Brownsville and Texas Southmost College (UTB-TSC). Imagine Brownsville led to the creation of United Brownsville—a new nonprofit entity—charged with implementing a 10-year comprehensive community plan. 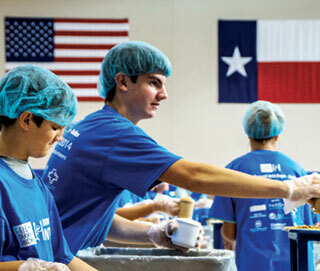 Predictably, education was one major component of the plan, which appealed to United Way of Southern Cameron County—a longtime education funder and advocate in Brownsville. Planning for an educational improvement effort was already under way at United Way when Brownsville was invited to apply for an MDC initiative called Partners for Postsecondary Success (PPS), funded by the Bill & Melinda Gates Foundation. PPS was created to establish or improve cross-sector community partnerships that could significantly increase the number of low-income young adults completing postsecondary credentials leading to living-wage work. Over approximately three years, beginning in 2010, sites could receive up to $1.4 million in planning and implementation grants with technical and learning support from MDC. That attention, as well as a grant requirement for improved data collection and analysis, prompted Brownsville leaders to directly address a less-than-helpful aspect of la familia culture— that of gossip, or chisme. In the old Brownsville, leaders explain, institutions—especially educational ones—were reluctant to share their own data and instead framed the community problem through private conversations, often singling out others as the cause for low achievement. The first step for Brownsville was changing that trend to one of transparent, shared analysis and problem solving. Downing remembers an early community data presentation that was made to the economic development board by community leaders working on Partners for Postsecondary Success. While the information presented was not necessarily new—local graduation rates and employment data, for example—having it all in one place highlighted the major challenges facing young people, and importantly, the insufficiency of anything less than a coordinated community response. 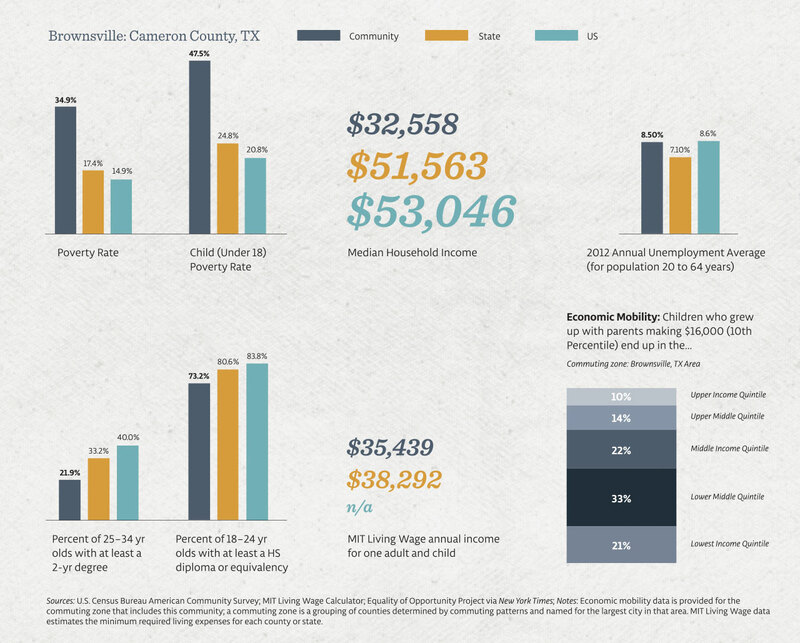 In a nod to the power found in this new collective, the partnership named itself “All In” and in 2013 released a Community Indicator Report, outlining more than 20 key data trends that framed overarching education and employment issues in Brownsville. These included major high school indicators—like the passing rate for Algebra I, a key gateway course for college preparation, especially for students aiming for STEM careers—as well as postsecondary readiness assessments and projected salaries for local college graduates. According to several community leaders, the current job opportunities for young people who do not have work experience or credentials in addition to a high school diploma or equivalent are limited to a few industries in Brownsville, often retail or food service. While All In is actively interested in helping employers in these industries develop career ladder programs and work-based learning opportunities, leaders note that young people who are currently employed in these positions may have a difficult time increasing earnings without additional credentials. Leaders agreed that there are career opportunities in Brownsville and the larger Rio Grande Valley region, even with the economy in a slow recovery. A 2013 Labor Market study completed by Rio Grande Valley LEAD (RGV LEAD), formerly Tech Prep of the Rio Grande Valley, Inc., found 80 “targeted occupations” within 11 industries projected to have stable growth in the region and pay an average wage of at least $10 an hour. Some occupations within health or education tracks are familiar to students—like nursing or teaching—but many others are lesser known, like those in information technology and manufacturing. One early and ongoing effort of the partnership—the web-based Career Planning Tool—was created to help students and parents understand how to academically prepare for in-demand careers. Critically, RGV LEAD found that 86 percent of these targeted occupations require education beyond high school. By 2014, every one of Brownsville’s seniors from six high schools applied for college—a remarkable 100 percent application rate—and 94 percent completed an application for federal or state student aid, a critical step in accessing postsecondary education for a community consistently ranked as one of the poorest in America. In order to move young people to living-wage work, All In partners had to understand why some students—however few—were able to access postsecondary credential programs and others were not, and then create programs to address that disparity. Tumlinson notes this problem was particularly vexing for young Hispanic men and students whose parents had not attended school in the U.S. “We don’t have a lot of boys graduating with [postsecondary] credentials,” says Tumlinson “We also find that it’s easier for children of parents who are not first generation, who have navigated the system before [and who] have that academic socialization. How are [students] supposed to figure that out?” Here was an opportunity to strengthen the city’s infrastructure of opportunity— the human capital development, employment generation, and social and financial supports necessary to help young people succeed. They started by engaging an existing piece of that infrastructure: young people themselves. All In picked up steam as Brownsville partners found that high school seniors often learned about college and career options from an obvious but often underused resource: college freshmen. Fueled in part by collaboration between the public school system and local colleges, a corps of Student Ambassadors began returning to their high school alma maters to promote a culture of college-going through direct support to students and their families. Student Ambassadors intimately understand the barriers youth in a poor community face in continuing to postsecondary education and often become a trusted source of potential solutions. “It is hard for them to talk about,” says Blanca Davila, a lead student ambassador, of the messages students receive from families encouraging them to forgo college for immediate work. Imelda Guererro, a student ambassador and City of Brownsville intern, echoed Davila, noting that “there are lots of cases I’ve heard where parents say ‘we need you here now,’” indicating that youth are needed at home to generate income for the family. The Student Ambassadors—often through their own life examples—are able to explain the intricacies of student aid, loans, scholarships, and work study, as well as equip students to speak with their parents about the importance of a postsecondary education. Student Ambassadors also are speaking with parents—more than 100 so far—about supporting their children’s college attendance. Though the program is supported by the All In partnership, and particularly its Policy and Practice Task Force, it’s now run almost entirely by students, who design their own curriculum to teach in five-week courses, lasting an hour per week at all six high schools in Brownsville and some middle schools, serving more than 1,300 students in the 2013–2014 academic year. High schoolers are given “passports,” where they record ongoing learning on financial aid, course work expectations, courses of study, and, most importantly, what it is actually like to be a postsecondary student. The Student Ambassadors have emerged as leaders within the All In partnership, actively participating in task force meetings and co-designing program evaluations. They also are leading new work for parents and elementary school students, supported in part by a 21st Century Community Learning Centers grant through the Brownsville Independent School District (BISD). With Student Ambassadors supporting the connection from high school to college, two internship efforts are helping students meaningfully engage with potential future employers. In September 2013, a newly formed All In Employer Engagement Task Force connected eight postsecondary students and three high school students with internships at 10 local businesses. Additionally, a new partnership between the UTB Student Employment Initiative and the City of Brownsville allowed six undergraduate students to gain experience in government work. In particular, one student is managing a major survey to measure citizen satisfaction with city services—an effort the city was very excited to deploy. The partnership aspires to scale these work-based learning initiatives to create opportunities for every student who wants one. Brownsville’s success in building and sustaining a multi-sector community partnership with robust programs is even more impressive given the multitude of institutional and leadership changes that have occurred since 2010. In four years, the community has seen two different mayors, two superintendents, and several new school board members. Perhaps the most notable change has been the major restructuring of the University of Texas at Brownsville (UTB) and the local community college, Texas Southmost College (TSC). For 20 years, UTB and TSC functioned as UTB-TSC, a unique partnership between a community college and a four-year institution, where students entering through TSC could seamlessly continue to an additional degree without transferring institutions. In 2010, however, just as the All In partnership was getting under way, UTB and TSC began the process of separating. Texas Southmost is on its way to becoming a standalone community college; UTB is now poised to merge with the University of Texas-Pan American and a planned medical school to form a new regional institution called University of Texas Rio Grande Valley. In 2014, Brownsville was named one of 10 All-American Cities, a major award from the National Civic League, in part for the innovative All In work as well as other collaborative community efforts, including a health partnership. Janeth Rico, a lead student ambassador, received the All-American Youth award, which went to only one student nationally, for her outstanding efforts leading the implementation of the high school outreach work. These awards, while impressive, are most meaningful when understood as part of a larger community-driven effort defined by determination, openness, and compassion. All In’s influence is spreading through the partnership’s active engagement with a regional collaboration to advance education called RGV Focus, driven by Educate Texas. Along with other All In partners, Traci Wickett serves in a leadership role for RGV Focus, which includes five regional postsecondary presidents and 15 school district superintendents sharing what they have learned through their local work and using the regional conversation to further inform All In. The All In partnership—and Brownsville at large—benefited when RGV Focus secured a grant from the Educate Texas Fund of Communities Foundation of Texas, funding the City Internship program. “Building an Infrastructure of Opportunity for the Next Generation” takes a deep look at prospects and challenges for the region’s 15- to -24-year-olds. Southern communities need to create an “infrastructure of opportunity” for youth and young adults that is as seamless as the electric grid or the water system—and just as essential. 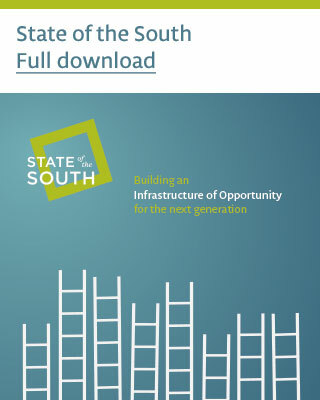 That infrastructure consists of a clear and deliberate set of pathways and supports that connect youth and young adults to educational credentials and economic opportunity. Read more of the report.